Here’s another one of our most reader-requested posts, our favorite Smart phone applications for kids! Apps that teach, excite, and – let’s admit – occupy our busy boys, in a educational and well-designed way. 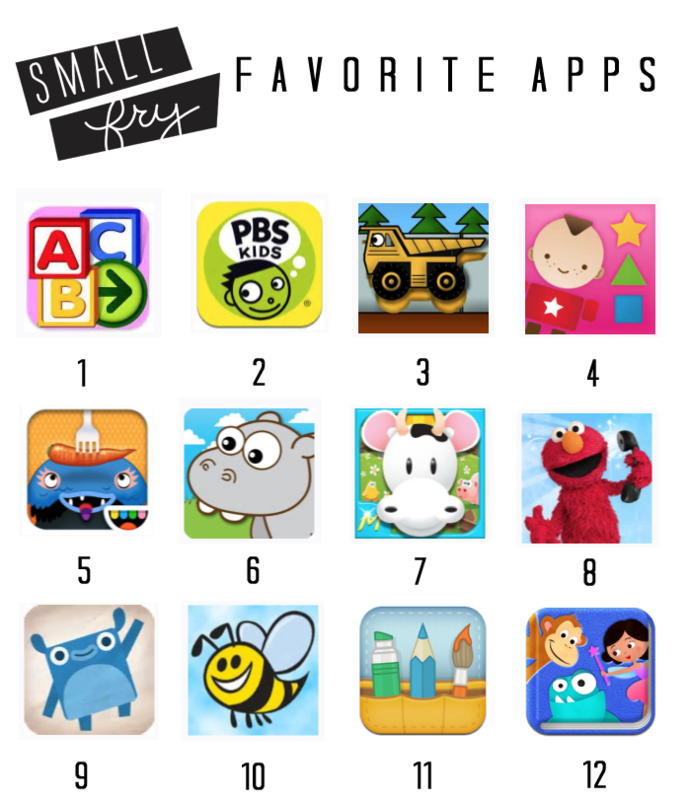 Starfall ABCs: Emily credits her nearly two year old’s sight recognition of all his letters to this app! It’s a meaty app in the sense that it would take months of playing to get through all of the available content. PBS Kids: PBS has their television shows loaded into this app, it’s great for road trips and anytime your kids are running out of patience! Kids Trucks Puzzles: Great for hand-eye coordination. It takes concentration and really encourages focus. Jenna’s baby Jude could care less about phones and TV and digs this one! Learn Shapes: The British accents might be a major factor in our love for this app! It is charming, those sweet little voices and songs won’t drive you crazy like so many other apps have before. The characters cheer you on and are all about positive reinforcement. Toca Monster: Toca makes a few apps that are awesome, Toca Monster is free and all about being creative. Emily’s boys love putting together funny monsters. It also takes some of the stigma away from monsters being scary. These are funny and darling! Giraffes Matching Zoo: Free for a limited time! A simple matching game attached with the animals accompanying noise, Dash giggles with every match. Farm Match for Kids: Full of colors and sounds, it’s one Jenn’as boys don’t tire of. Elmo Calls: Maybe it’s hormones, but Emily cried when her boys first tried this app out. Elmo literally FaceTimes you! You can see yourself and have a conversation with Elmo. Elmo is loving and funny and when he says “Elmo loves you!” you might get choked up, too! Endless Alphabet: $4.99 but worth every penny! The vocabulary they teach is unique and charming. This game is truly magical. Bee Sees: Free! It’s customizable and easily adjusted for lots of different ages. Draw Quest: Is another creativity builder. It sends you prompts for what to draw each day – “Draw your dream last night” “Dress up the snowman” etc. It is a social app too and you can share your drawings with other little buddies, too! Speakaboos: An awesome interactive storybook application, really well illustrated and fun! Now your number one problem, like ours will be moderating all this fun phone time! It’s a daily battle, and funny that the thing that makes these Smart phones so great is also what makes us wish we didn’t rely on them so much! 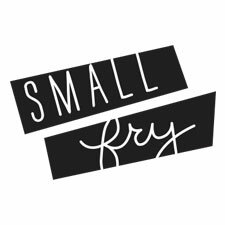 We can’t wait to hear your Smartphone app suggestions, Small Fry readers always have the best recommendations! I love Kid in Story! It’s an app that allows you to make interactive story books with your kids that include their pictures and your narration. It’s a really fun app and I’ve even used it with my almost-one year old to make silly stories for him. I can’t find Endless Numbers. Is that the right name? Thanks for putting together this list! I have that app and I am pretty sure it is called Endless Alphabet. I don’t remember it costing anything either. I’ve had it for a while though, maybe that has changed. It really is a great app. My two year old is starting to recognize what sound each letter makes because of this app and my second grade nephew has been able to expand his vocab. It is one of my favorites. You’re right, sorry for the confusion! Yes, it’s endless alpahbet! Sorry for the confusion. I also really love Elmo Loves ABCs. If I remember right, it costs $4.99 and well worth it. There are a number of letter games inside the app and at least three videos related to each letter. Quite a few are vintage Sesame Street clips that I remember from my childhood (for example, Ladybug Picnic for the letter L). A free app that appeals to a broad age range is Squiggles by Lazoo. Think of it as interactive animated coloring/drawing. This app has a lot of style and imagination. My 2.5 year olds fave app is called Tozzle. I know it is available for iPhone. *Peekaboo and Happy Babies – BabyTouch by Ladybird – adorable. Best ones I found for under 1. Also British. There are so many great ipad apps out there. My littles get to use the iPad possibly once a day and they always explore a different app. My new favourite is a meditation app called smiling mind.